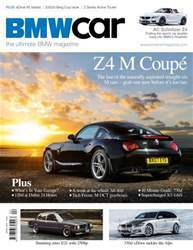 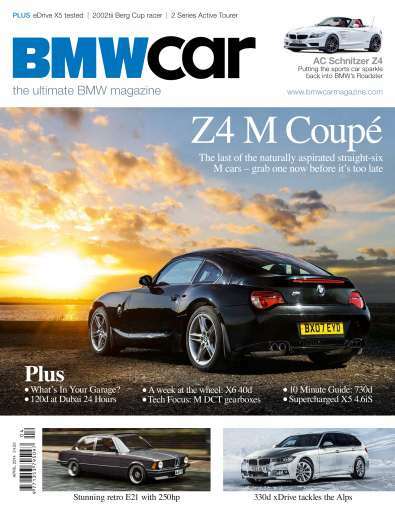 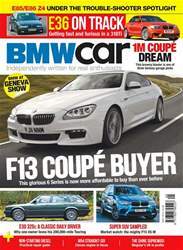 On the Cover: Remembering the Z4 M Coupé - the last of the naturally aspirated straight-six M cars. 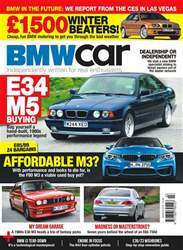 Driven this month: Prototype X5 eDrive, 330d xDrive Touring in the snow, AC Schnitzer Z4, X6 xDrive40d, Dinan supercharged X5. 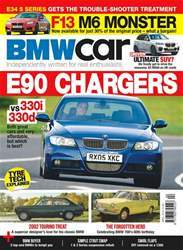 Also in this issue: 2 Series Active Tourer, E21 3 Series with M52 engine, 2002 Berg Cup Racer, Dubai 24 Hour race, M DCT gearboxes plus a 10 minute guide to the F01 730d.